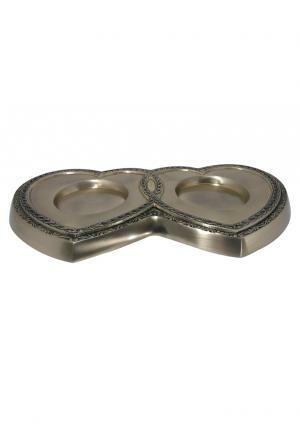 Classic Three Bands Companion Urn Set is very high quality solid brass pair of urns. The Companion funeral urns are made of brass body and engraved three black line bands around with a matching twin heart shape base with rope etching. 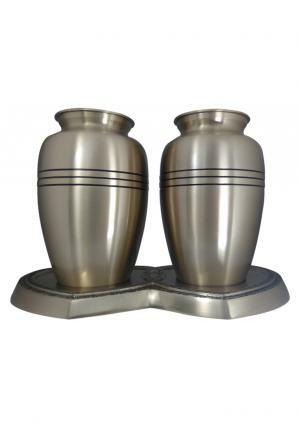 The brass pair urn are suitable to decor ashes of the adult human which has a well polished brass lid with decorated screw threading for a secure closure of the urn with ashes. The pair urns are decorated with smooth finish from intricate hand design from skilled artisans. The Classic Three Bands Companion Adult Cremation urn is measured to 10 inch tall of 6.5 inch width each and weighs totally with 7.73 Kg combined. 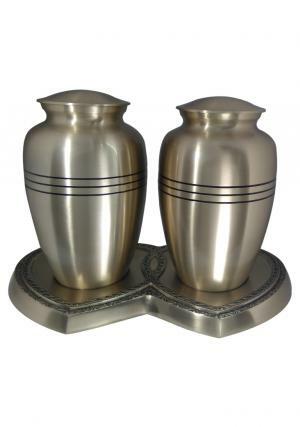 The pair of companion urns set carries 200 cubic inch of ashes approximately in each urn.